Peter Hatch, director of gardens and grounds emeritus for the Thomas Jefferson Foundation at Monticello, lives in Albemarle County, Virginia, where he gardens, botanizes in the Blue Ridge Mountains and lectures about garden history. Hatch was responsible for the maintenance, interpretation and restoration of the 2,400-acre landscape at Monticello from 1977 to 2012. The author of four books on the gardens of Thomas Jefferson’s Monticello, Hatch has lectured in 37 states on Jefferson and the history of garden plants. 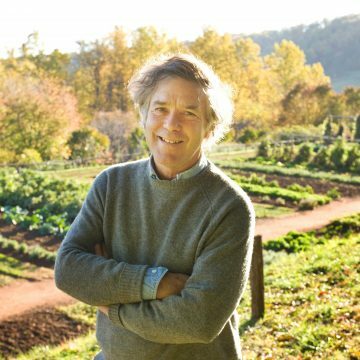 He travels extensively to promote his latest work, A Rich Spot of Earth: Thomas Jefferson’s Revolutionary Garden at Monticello (Yale University Press 2012), an award-winning book on Jefferson’s vegetable garden.